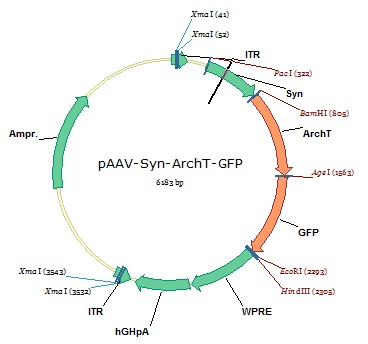 AAV-mediated expression of ArchT-GFP under the Syn promoter. Using hGHpA signal. 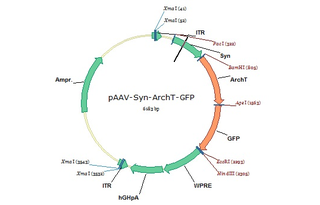 The plasmid is sequenced completely by the depositing lab except for parts of both ITRs. Multiple digestions were done to verify the vector structure. 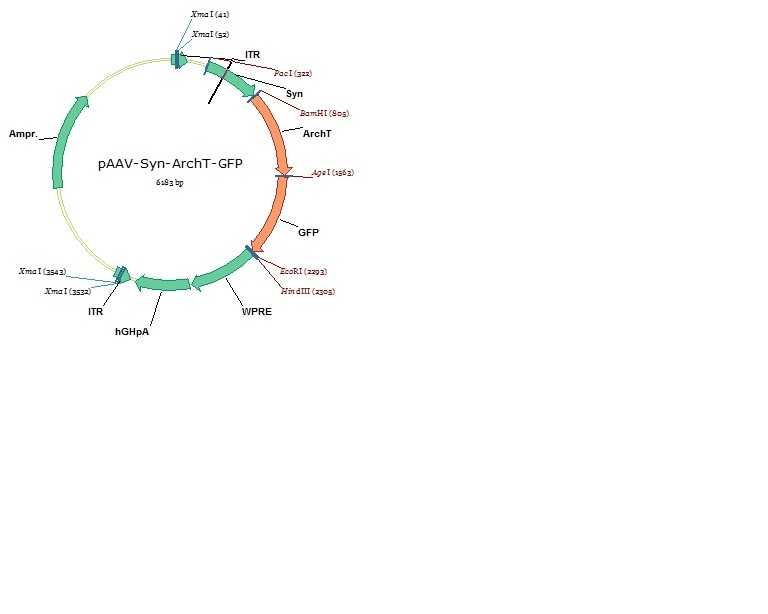 The construct and the virus were both tested in vitro.